You know full well that cybercriminals want your money, and we know full well that you already know that. If we’ve done a good job within these blog posts, we’ve already conditioned you to always take a moment to assess your security before doing any online banking. Cybercriminals perch themselves on public Wi-Fi networks, looking for someone sloppy enough to spill their bank details over an open connection. Malware on your PC or device could have the ability to log all your keystrokes, capturing your login credentials for use in the near future. Your online banking info is the holy grail to these cybercrooks, and they won’t stop until they get it … unless you have Bank Mode. Bank Mode is an added security feature included with Avast Secure Browser. 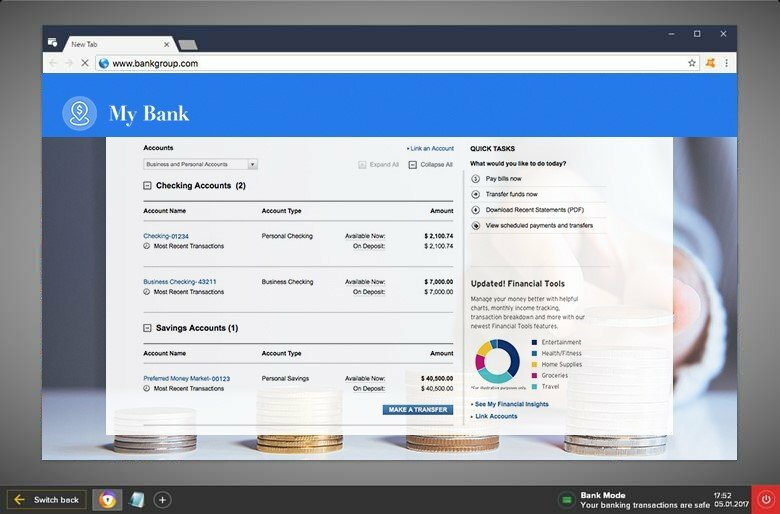 It seamlessly creates an isolated Windows desktop session while you do your online banking. It’s kind of like your own private room that ensures no keyloggers are recording your strokes and no spying eyes are observing your transaction. You can select Bank Mode before each of your transactions, or simply set it to turn on automatically in your Avast Secure Browser preferences. By opening the browser in an isolated desktop environment, it creates a safe space that’s out of reach even from your own apps. The high-security “walls” keep malware and anything remotely suspicious out, even requests from within your own system. Bank Mode is just one of the many security tools featured in Avast Secure Browser. Built for privacy by security experts, this is the browser that has your best interests in mind. Make the internet fun again by protecting yourself with security that outsmarts the bad guys. Download Avast Secure Browser for free (note: Bank Mode requires Avast Antivirus which you can download for free here) and experience the difference. You’ll find yourself smiling a lot more.